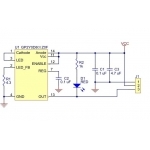 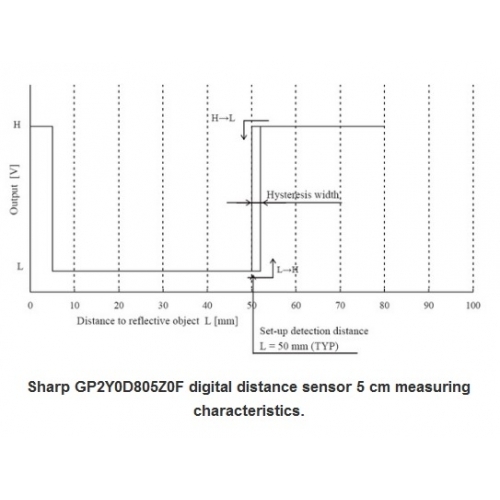 This small digital distance sensor detects objects between 0.5 and 5 cm (0.2" and 2") away. 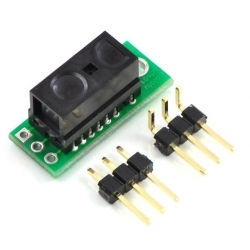 With its quick response time, small size, and low current draw, this sensor is a good choice for non-contact object detection, and the compact carrier PCB makes it easy to integrate into your project. 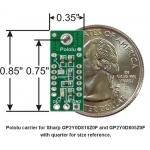 The GP2Y0D805 is Sharp’s smallest and fastest distance sensors, and our tiny carrier board for these sensors includes all of the external components required to make them work. 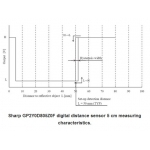 With a sample rate of almost 400 Hz the sensor detects objects between 0.5 cm and 5 cm away. 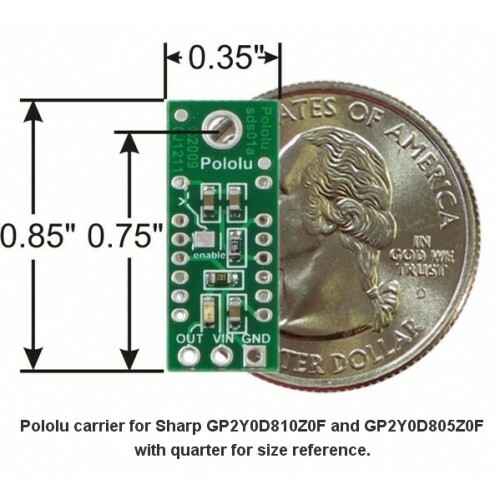 Note: These sensors will only tell you if there is an object within the detection range along their lines of sight; they will not tell you how far away the object is. 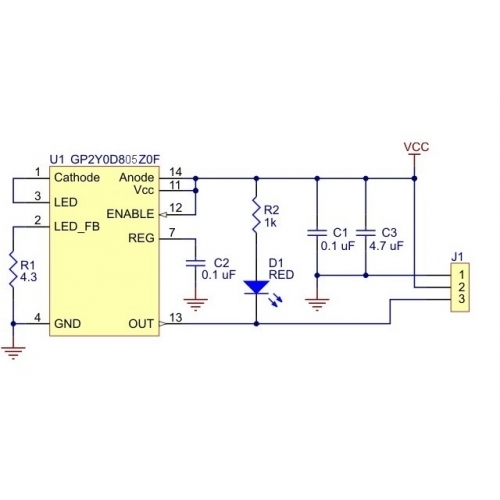 A red LED on the back of the PCB lights when the output is low, indicating that the sensor is detecting something.